If you could use a hand finding a great tenant, but don't need full property management services, our Rental Success Program is the solution you’ve been looking for! We've rolled advertising, showing, screening, and leasing into one affordable package. We get you from "Just Listed" to "Just Rented" and you take it from there! We post your rental on the hottest marketing sites including: Trulia, Zillow, Hotpads, Craigslist, Facebook Marketplace and more. Rest assured, if there is a site that qualified renters are using, your property will be there front and center. Our cutting-edge 24 hour appointment center captures rental leads and converts them to appointments 24 hours a day. No more missed calls, lost opportunities, or revenue loss. Our system is hard at work while most management companies are sleeping. Your property will be listed in the Mid-Hudson MLS and syndicated across a network of associated systems, available for all local real estate professionals to access and share with their clients. Every HPS listing has several bright, high quality interior and exterior photos. We encourage you to check out our photos and compare them to the other apartments available online. Your home will be shown by the region's most talented licensed real estate professionals who know how to present your property in its best light and point out the key selling features of your home. Our system automatically requests feedback from everyone that sees your place; both prospective tenants and agents. Feedback and listing performance reports are sent to you by email! Our application team completes a thorough tenant screening on every application which includes: credit, rental history, eviction history, criminal history, employment verification, pet screening and more. Our industry-leading pet and animal screening service includes: photos, vaccination reports, microchip information, training information, behavioral information and HUD compliant verification of service animals. When a well qualified applicant is chosen, our team helps you make all of the necessary preparations to facilitate a smooth lease signing and tenant on-boarding. No Hidden Costs. Just One Low Price. Advertising-- All online advertising- included with each listing. High-Quality Photos-- Enhanced, wide-angle photos- included with each listing. Multiple Listing Service-- Local MLS listing- included with each listing. 24-Hour Scheduling-- Our advanced 24-hour automated scheduling service- included with each listing. 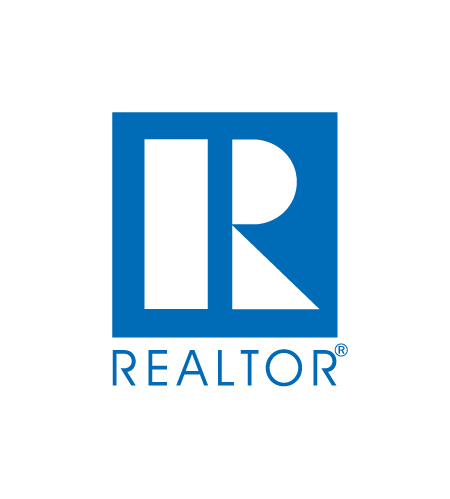 Showing Appointments-- Property showings with real esate professionals- included with each listing. Showing Feedback-- Feedback reports from agents and prospects- included with each listing. Tenant Screening-- Professional tenant screening services- included with each listing. Lease Signing-- Lease signing coordination and use of conference room- included with each listing. *99 non-refundable set-up fee required to activate listing. Setup fee will be deducted from the total commission at the time of lease signing. At Hudson Property Services, we adhere to strict licensing, fair housing and ethical standards and practices. Below is a list of our minimum standards for the properties and property owners that we represent. If our standards are not in line with your expectations, or don’t accurately reflect the current status of your property, the Rental Success Program may not be a good fit for you. If you’re unsure, we’d be happy to have a chat to determine if we are the right solution for your rental needs. Before a home can go on the market, it must be clean, presentable, and safe for anyone entering, including children and adults. This includes completing all prep work, removing all supplies and presenting the home vacant and in move-in ready condition. Complete the prep, then give us a call! Licensed real estate professionals are required by law to disclose to potential renters whether or not a property has a valid certificate of occupancy. If your dwelling unit does not have a valid c/o, we cannot rent it for you. The rental business is a fast-paced world. Quality tenants want to schedule a viewing, apply, and secure their home as quickly as possible- and without a quick reply they will move on to the next place. It's important that we be able to reach you quickly with updates on your rental and potential new tenants. Keep us on speed dial! We understand the thought behind keeping your rental ads active to bolster marketing efforts, but we've found it causes more harm than good. Not only do tenants find it confusing, but it also increases the odds that a misprint or unintentional fair housing faux pas slips through the cracks. For that reason, we ask that you refrain from posting supplemental landlord ads. Hudson Property Services adheres to all fair housing standards, and we require that our clients do the same. If we spot a potential fair housing violation in advertising, candidate selection, or at any other time, by any party involved with the rental listing, we will require it be addressed and corrected immediately. The last thing we want is to rent a home to someone only to find out that it will be up for auction soon. For everyone's protection, if you are currently in default on your mortgage or taxes, or expect to be soon, or if your property is at risk for foreclosure or involved in other eminent legal action, we cannot assist you with renting your home. Property Consultation: A Hudson Property Services rental specialist will meet you at the property for a complimentary rental consultation. After a quick meeting and a few short forms, we can get your place on the market in no time! Property Listing: Your property will be listed on all of the major real estate and rental websites and the local MLS. Leads will be able to set up appointments online, by phone, or by text, 24 hours a day! You can check out how our listings look here. Advertising and Showing: Hudson Property Services will handle all of the calls, appointments, in-person showings and rental applications. You just kick back and receive feedback and status updates to your email. Applicant Approval: When a qualified applicant is approved, we advise them on how to provide the deposit, and guide them through the subsequent steps leading up to the lease signing. 5 Star reviews on Google! "...Shopping for a new home is never an easy process but our experience with Matt was the best we could have possibly hoped for and the results speak for themselves... Matt’s insight and advice throughout the process was a valuable tool in guiding our search and expectations of the real-estate market. Matt was able to accommodate our busy schedules with ease and made the whole process as efficient and painless as possible." Licensed Real Estate Broker- Property Manager- Listing Specialist- REO Expert- Leasing Agent- Lifelong Dutchess County resident- 14+ years experience in the real estate industry. Licensed Real Estate Salesperson-Leasing Expert-Buyer Specialist-Lifelong Hudson Valley Resident- Experienced in economic development, local government and project management. The average number of rental inquiries that Hudson Property Services receives in a month. The number of units currently under management by HPS in the Hudson Valley. The average time it takes a prospect to book an appointment with our automated rental line. The cost of the Rental Success Program is equal to one month's rent. There is a non-refundable $99 set-up fee required at sign-up to activate the listing. The setup fee will be deducted off of the final commission bill at lease signing. There are no additional costs or hidden fees. Hudson Property Services is located in Poughkeepsie, NY. We cover most of Dutchess County, as well as parts of Ulster County. If I find a renter, do I still have to pay? At HPS, we utilize an agreement know as an Exclusive Right to Rent Agreement. What that means is that if the apartment is rented during the term of our agreement, HPS will be due a commission, even if you find the renter. If you do know of someone interested in renting, a best practice would be to pass the lead along to us, so they can be thoroughly screened, just like any other applicant. We utilize the latest technology to gather applications and the supporting documents needed to make an informed decision on an applicant. Our application, fee processing, and collection of supporting documents can be completed entirely online, and the whole process is mobile-friendly. Our screening process includes verifying income, employment, credit, rental history, judgements, criminal history and more. We deliver results that are thorough and concise, helping you choose the most qualified applicant based on facts, not just a gut feeling. Can you screen pets and service animals? Absolutely! HPS partners with PetScreening.com to verify and access the risks associated with pets that may be living in your home. Not only do they screen pets, but they also assist in verifying the validity of service and support animals in compliance with HUD and FHA guidelines! Click this link to get started today. You can schedule your property consultation online 24/7 at a time that's convenient for you. Schedule a 30 minute phone consultation today! 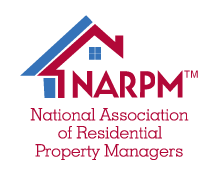 Looking for full property management? We've got you covered. Click this link to check out our full suite of property management services.